World-class dining. Premier shopping. Extensive services and more. White Rock offers it all- restaurants that serve high-end cuisine, takeout fish & chips to enjoy on our promenade, or the best burger in the Metro Vancouver area; days spent browsing through retail stores and enjoying treats at our many cafes; evenings spent at a world-renowned music venue and two award-wining craft breweries; plenty of parks with beautiful trails and extensive beaches. White Rock may only encompass five square kilometres, but we offer an entire world of experiences. 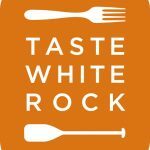 The White Rock BIA represents the local businesses and commercial property owners of White Rock. We advocate for our members, communicate with the municipal government and the community at large, and facilitate public events. By Bus: The 351 goes from Bridgeport Station to Uptown White Rock. The 321 goes from Surrey Central Station to Uptown White Rock Try the Translink Trip Planner to get here! There is paid parking available along and near Marine Drive and free 2 hr street parking in Uptown White Rock along Johnston Rd.